With impending Brexit and the uncertainties it has produced, the City’s hegemonic position seems more tenuous: many companies and institutions have announced that they will leave London for another city in the European Union. 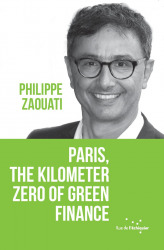 In this context, Paris holds the cards to become a leading actor of green finance. The French are on the cutting edge of expertise and action in the realm of climate fi nance, and more broadly, at the vanguard of responsible investment. The French capital is already a leader on the international market for green bonds. The Paris Agreement demonstrated France’s ability to convince governments, as well as the business and financial worlds, to cooperate in the face of the climate emergency. According to Philippe Zaouati, Paris must now lose no time in rekindling the dozens of commitments and coalitions established during COP21 to continue the greening of finance. 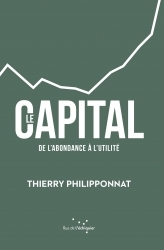 By building on its thriving local ecosystem, Paris can become a new type of financial center, resolutely focused on the ecological transition and the struggle against inequality in all its forms. Philippe Zaouati is the CEO and cofounder of Mirova, a subsidiary of the Groupe BPCE specialized in sustainable investment established in 2012. 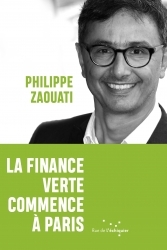 He also chairs Finance for Tomorrow, and is committed to developing sustainable finance both in France and internationally, participating in multiple initiatives as a thinker, speaker and board member. 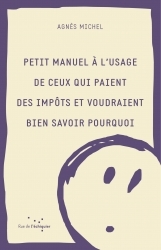 Un livre court et pédagogique pour y voir clair dans la jungle qu'est devenue la fiscalité française et envisager sa simplification en quelques mesures simples.